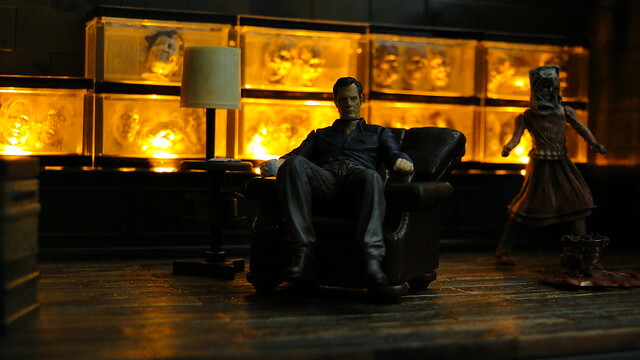 In the spirit of Halloween, I’ve taken out and assembled The Governor’s Room set. These building sets are heavily detailed. 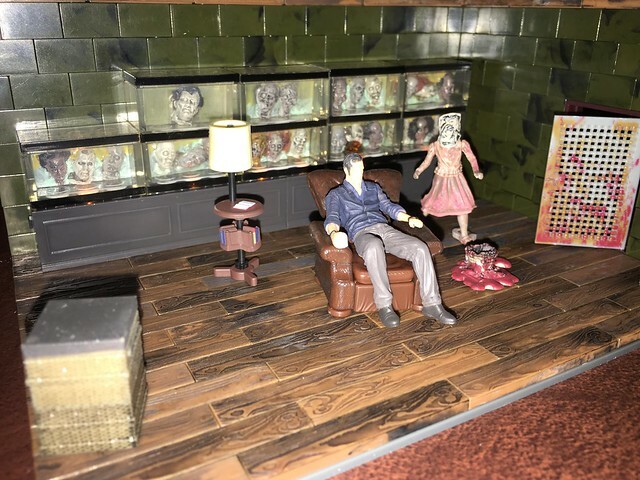 The Governor’s Room features the fish tanks full of undead heads, a bucket of flesh and blood, The Governor himself and the Governor’s undead daughter, Penny… all arranged in a diorama format. I just finished watching The Blindspot after watching Gravity Falls and Supergirl. I started up my PS3, but wasn’t sure if I wanted to play a game. So I went through my Facebook feed. Several minutes of that and I went to read my news feed and go to sites for entertainment and reading. There was a link to a YouTube video on historical European martial arts documentary. They mentioned Asian martial arts and somehow it reminded me of a very distant memory of a Filipino movie, Ang Lihim Ng Golden Buddha (The Secret of the Golden Buddha). It’s a semi-autobiographical movie based Yamashita’s Gold rumored stolen during World War II and hidden in various caves and other locations throughout Southeast Asia. These treasures were stored and encased in Golden Buddha statues. So I looked up the movie online and remembered the actor playing the lead role. I don’t remember much of his other movies, but I mistook him for another actor who played the son of the devil in another Filipino movie. I also looked up that movie online. This movie came out in 1989 and I thought it was one of the scariest movies I’ve seen. Then again, I was 5 and I haven’t seen It. Much of what I remember from the Philippines were bits and pieces before I was 1 years old, to my childhood and graduating primary school in the 6th grade. It’s weird how random things just open a can of worms in my head. I also remembered the lead actor and the lead actress in the movie, but I didn’t want to continue going down this rabbit hole if I wanted to get some sleep tonight. This will probably the last of my Assassin’s Creed Rogue videos. I recorded several locations that looked nice in the game. You can see the day and night cycle of the game in action. I’ve had fun making these videos. The North Atlantic is the biggest location in the game. It’s mostly water and several islands, inlets, and forts. There are ice sheets and icebergs in the northern part. Circling the whole place took around 22 minutes, 10 minutes more than sailing around the River Valley portion of the game. Back on the Hudson Valley again during the Seven Years war. This time, swam from the top right point to the bottom left point of the map at Mount Vernon. When I started swimming, I lost my bearings and kept swimming forward, following the open waters and trying to reach the cursor according to the mini map. I ended up taking a longer route. The swimming speed was the fastest in water outside of ships. I could have waded through the river the whole time, but that would have been twice as long. There’s a link on the video if you want to watch the full length version instead of the time lapse video, if you want a challenge. I don’t really recommended it, but it let’s you gauge actual speed in the game.